Poor standards in rented accommodation are a widespread problem. Sadly as we begin 2018 the situation both nationally and locally is a difficult one. Currently there are over one million rented properties across the country containing the most serious Category 1 hazards, including homes that have unsafe electrics, vermin infestations, or have failed essential fire safety tests. Across the North West the figures around home standards in the private sector make for grim reading. Of the 162,000 homes across the region that are classified as Category 1 hazards, over 129,000 (79% of the total figure) are private rented properties alone. Our homes are at the centre of our lives but at the moment renters don’t have the basic rights that we take for granted in other areas. In practice you have fewer rights renting a family home today than you do buying a fridge-freezer. The truth is that decisions made by Conservative Ministers since 2010 have made it easier for bad landlords to let unfit homes. As a result, too many people are forced to put up with downright dangerous housing. I have had constituents come to me in recent years complaining that some landlords have refused to fix broken windows, fit double glazing or even deal with extreme dampness on walls and ceilings. In several instances a constituent of mine has had to leave their rented home to sleep on a friend or family member’s sofa because their living conditions were so bad. 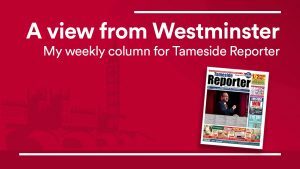 For too long the Government have done nothing which is why new legislation proposed by Labour, could help renters across Tameside ensure they no longer have to live in homes unfit for human habitation. This change in the law has been backed by Labour previously and was already included in our manifesto in June but has been blocked by the Tories on two previous occasions. After the terrible fire at Grenfell Tower, it’s even more important that we ensure all homes are fit for human habitation.